The new Chuckit Ultra Grip provides comfort, control and a stylish touch. The aesthetic design includes an ergonomic rubber handle. This marks a new premium of the product line and maintains the same great benefits of the original Chuckit! 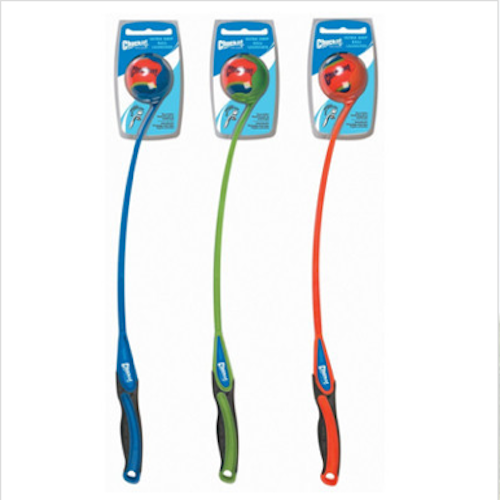 Use with standard tennis balls or Chuckit compatible balls only. Description: 26 inches long, with a comfortable ergonomic rubber grip. Exercise a dog in a fraction of the time. Easily throws farther than your arm. No slobber, hands-free pick up. 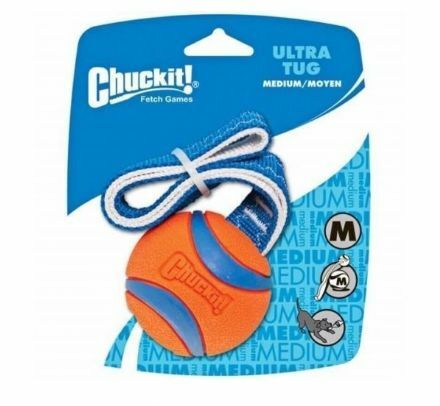 A Chuckit Ultra Ball is firmly attached to a strong nylon rope creating the perfect tug of war toy. This toy is also Compatible with Chuckit ball launchers. Its an Ultra buoyant, high bouncing, durable natural rubber ball that is easy to clean!